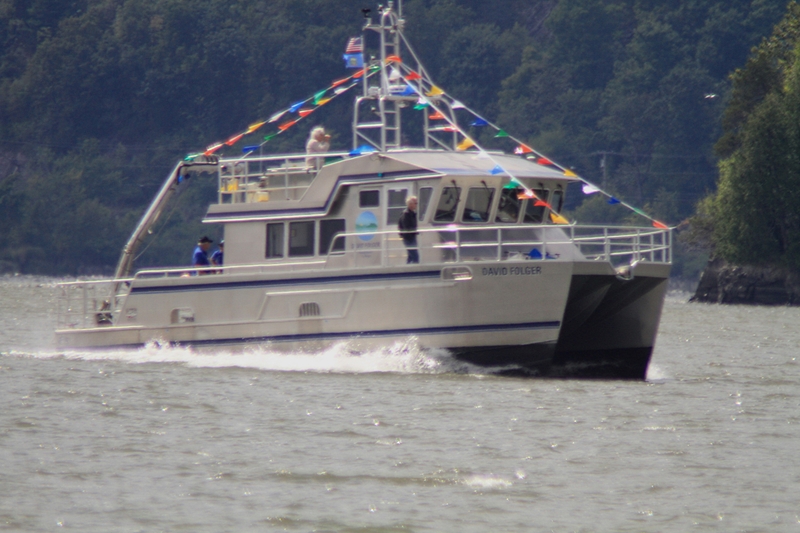 The R/V David Folger received some nice press September 5 in the Environmental Monitor, a journal that covers products, projects, and trends in the environmental monitoring industry. students with the captain and mate. It has been a long process. Ironically she will be pulled out of the water next week for the winter and stored at Shelburne Shipyard. 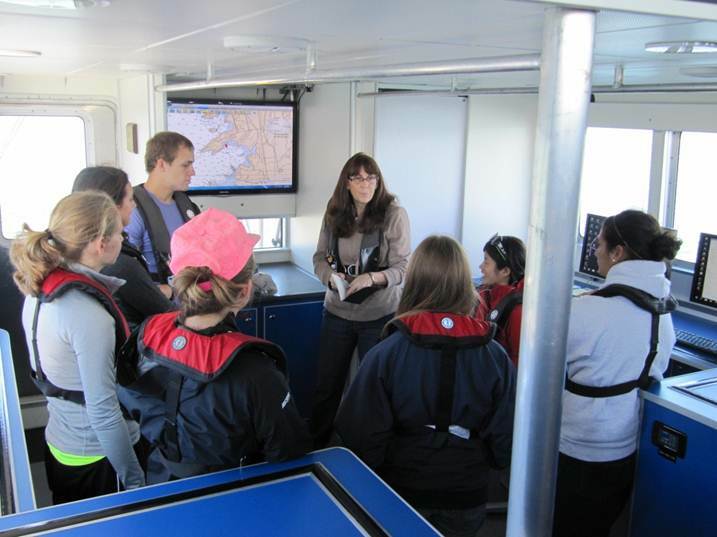 Even with the modified class size we had to use this fall, new exciting research has been done by our Oceanography and Marine Geology classes – new underwater slumps, sediment waves and current sculpted channels were discovered. Great stuff! Just a quick update from Middlebury VT. Hurricane Sandy brought us a lot of rain and wind. The R/V Folger was tucked in for the event and had no issues. A former student (Katie Flagg) wrote a great article for Seven Days. Check it out. 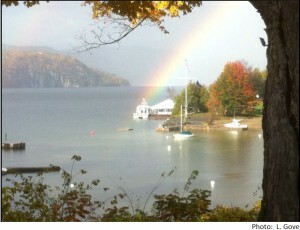 The R/V Folger was dedicated on a wonderful fall day complete with rainbows, laughter, and a great turn out. 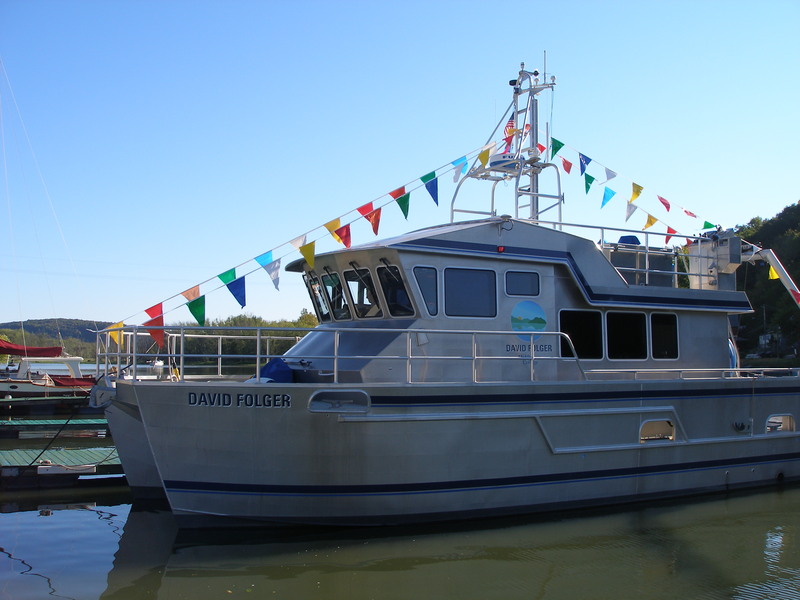 The R/V David Folger will be officially dedicated on October 20 in a celebration at the Basin Harbor Club in Vergennes. 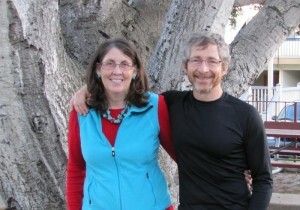 College President Ron Liebowitz and his wife Jessica will be on hand to greet everyone. Refreshments will be served at 12:30 p.m., and the dedication ceremony will begin at 1:30. Hope to see you there! Tom and I will be there to celebrate! Today was the final leg of a long journey that saw the R/V David Folger entering Lake Champlain at Whitehall, NY and traveling north to Point Bay Marina in Charlotte, Vermont. 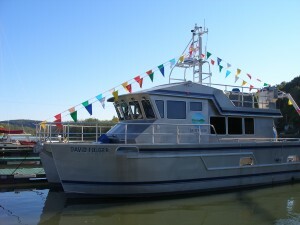 It was also a very special moment because the vessel’s namesake, Dave Folger, was on board. A highlight of today’s journey was stopping for a while outside of the Fort Ticonderoga delta, where Dave talked about his work with Middlebury students and their research that stopped the International Paper Company’s practice of polluting Lake Champlain. It was a beautiful day, with blue skies and flags flying. Finally, the Folger turned into Town Farm Bay and docked. The R/V David Folger stayed at the Schuylerville Boat Basin last night. Coming up through the Champlain canals has been interesting but a challenge, because water levels in the canal are lower than usual. 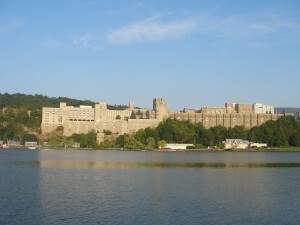 Another major issue is that of invasive species within the Hudson River and the canal system. Middlebury College takes pride in being a good steward of the environment and had the Folger’s hull finished with a paint that deters hitch-hiking plant and animal species. Zebra mussels beware! Yesterday the Folger had quite an encounter with the aquatic invasive water chestnut, and the crew had to take extra time and extreme care in removing this plant material from the hull, hydrofoil, and propellers of the vessel. Today the Folger stopped in Fort Edwards and had an eco-disinfectant wash-down to mitigate the chance of bringing in a new invasive species threatening Lake Champlain: the spiny water flea. 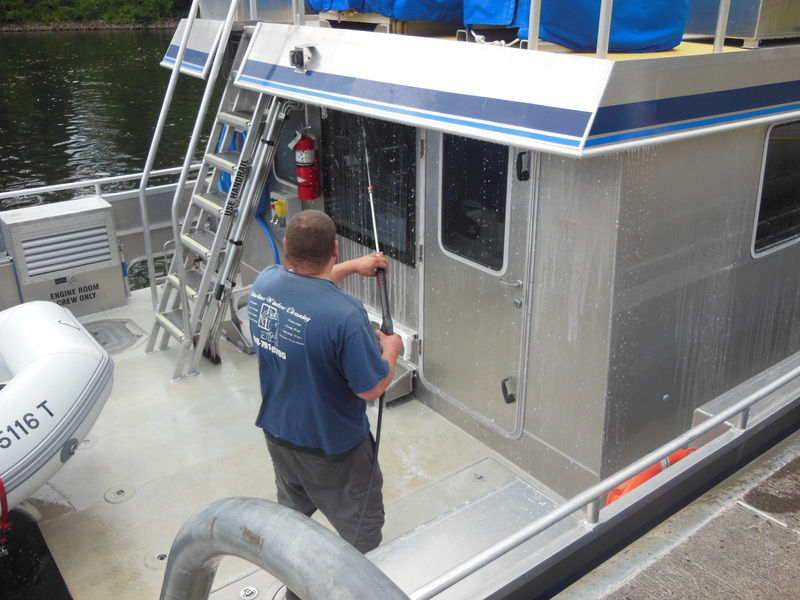 Currently there are no mandatory cleaning requirements for the spiny water flea; however, we consulted with Senator Leahy’s office, the Vermont State Commissioner of Fish and Wildlife, and a state water toxicologist to develop a cleaning protocol, which included pressure washing the entire boat structure and disinfecting all bilges, lines, and mats. 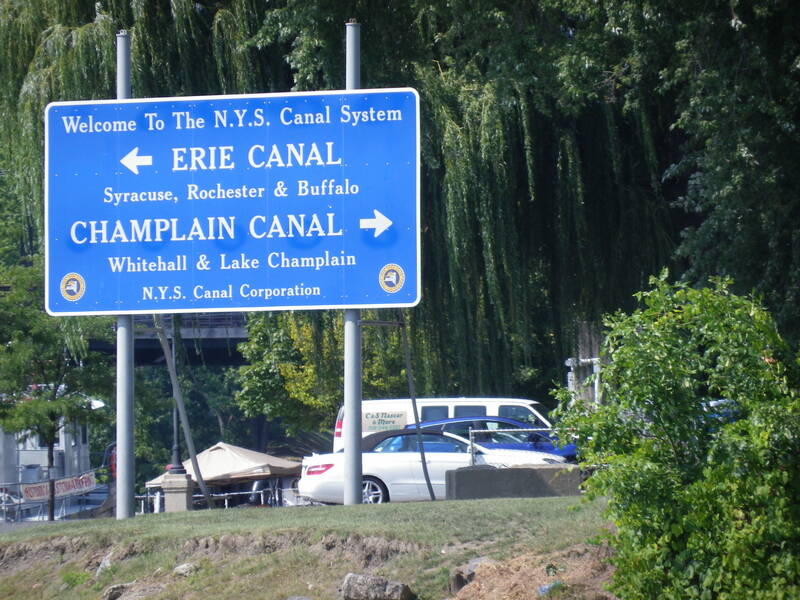 After a three-hour cleaning, the vessel is once again moving up the canal to Whitehall, NY: the birthplace of the US Navy and the southern limit of Lake Champlain. 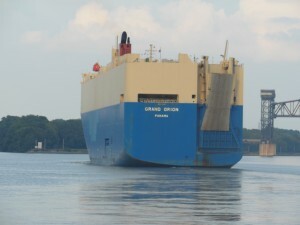 Tomorrow a long-anticipated event takes place: the Folger will finally arrive in Lake Champlain and will be home at last. After reaching Tarrytown last night, Tom and Bill had a smooth transition. Tom got back to Vermont by midnight. The crew now consists of Bill Lowell, Chris Goodrich, and Captain Richard Furbush. 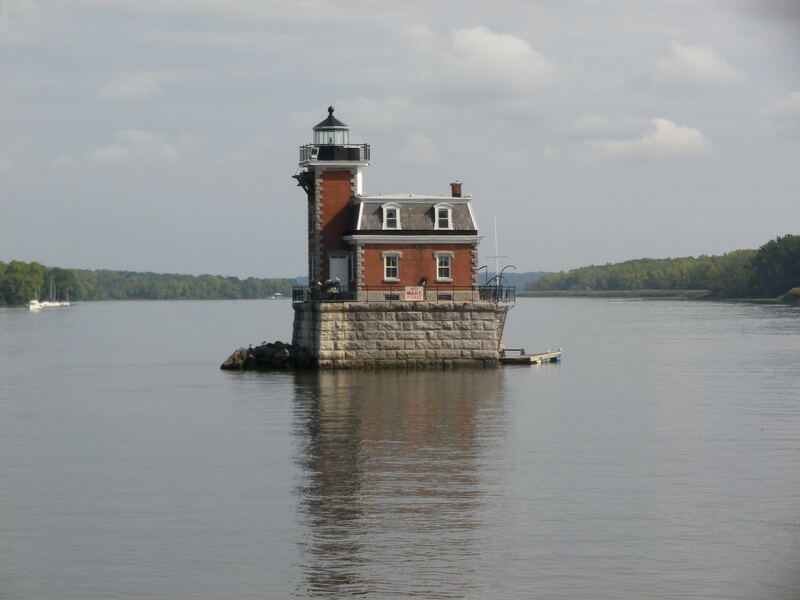 Today the R/V David Folger has made her way up the Hudson River and has started entering the lock system that will bring her to Lake Champlain. 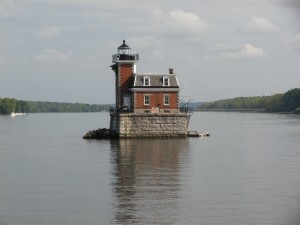 They passed West Point and also many historic bridges and lighthouses. They got as far north as Lock 4 today. 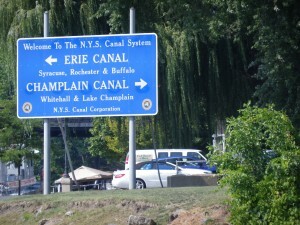 Tomorrow they hope to reach Whitehall, NY. Watch the SPOT-GPS to see them traveling along. Cape May, New Jersey to the Hudson River! Again weather is playing havoc with us getting the R/V David Folger up to New York City and to the Hudson River, as thunderstorms and intense rains are battering Cape May this morning. Originally the crew planned to be in port today, but they have since decided to try to push northward. 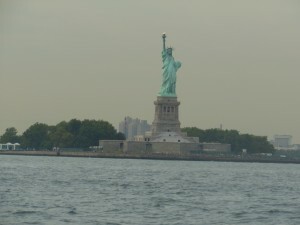 So watch the SPOT-GPS (http://share.findmespot.com/shared/faces/viewspots.jsp?glId=02V91mYmVsJtckJrQC7usqhLa3ch6ROWV). Because Tom has to teach next Monday, he will leave the vessel today. 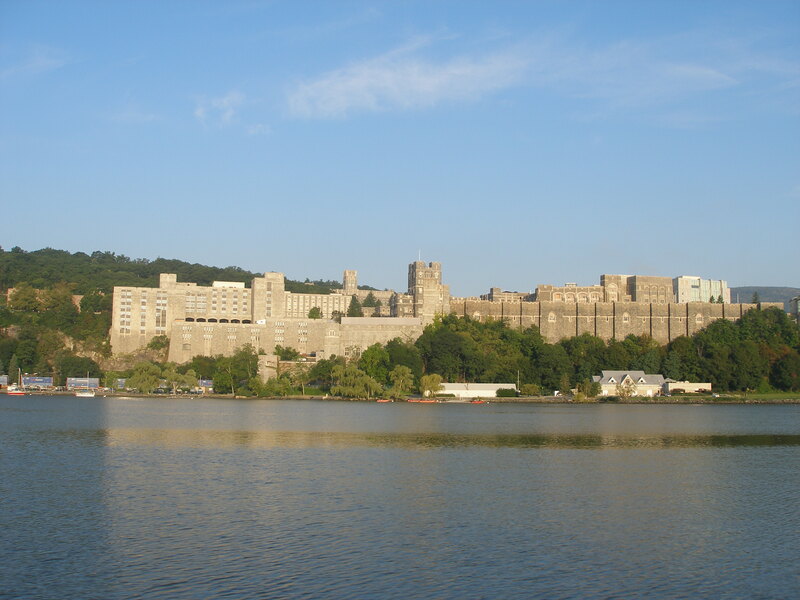 Bill Lowell will join the crew and is currently driving to Tarrytown, New York, where he will replace Tom. Tom will drive back up to Vermont tonight or tomorrow. 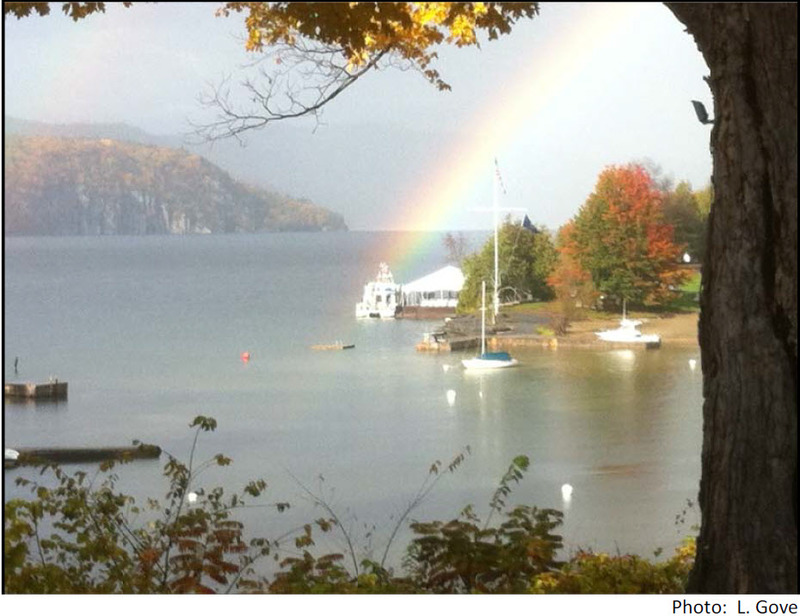 We are still hoping that the Folger will make it to Lake Champlain by this weekend, but as they say… who knows! 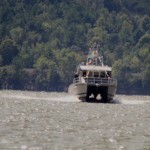 The crew made good time today and is now traveling up the Hudson River. Only about 200 miles still to go. Yahoo! Check out the video of the sea swells near Atlantic City. 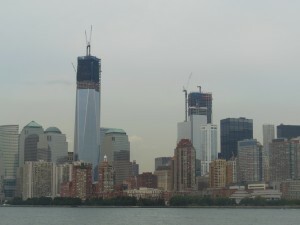 As always, Lady Liberty and the Freedom Tower were awe-inspiring. 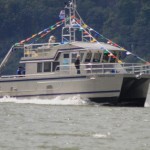 The R/V David Folger left Summit North Marina this morning and is traveling down the Delaware Bay. The crew hopes to reach Cape May by noon and then assess the seas before traveling up the eastern New Jersey coastline. Besides Navy vessels in the Chesapeake region, they also have encountered some pretty large cargo vessels. Due to the remnants of Hurricane Issac, they had rough seas and only traveled 53 nm. They stopped at South Jersey Marina for the evening.